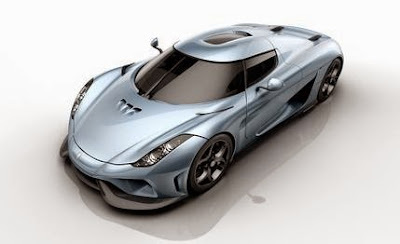 The Regera was created as a luxury Megacar alternative to Koenigsegg's traditional extreme lightweight race-like road cars. Even though the One:1 and the Agera RS have surprising levels of practicality, creature comforts and features, their primary focus is, and has always been, to be the overall fastest cars on the planet – around a racetrack or elsewhere. Regera is Swedish for "to Reign" - a suitable name for a machine that offers a never seen before combination of power, responsiveness and luxury - creating a true Dr. Jekyll & Mr. Hyde persona. A good design and layout of the DRL (Daylight Running Lights) gives character, as the DRL is what's first seen when a car comes driving from a distance. The world's first fully foldable, active, top-mounted rear wing The Koenigsegg One:1 featured the world's first top mounted active rear wing. This was an innovative solution that maximized down force compared to its size and weight. 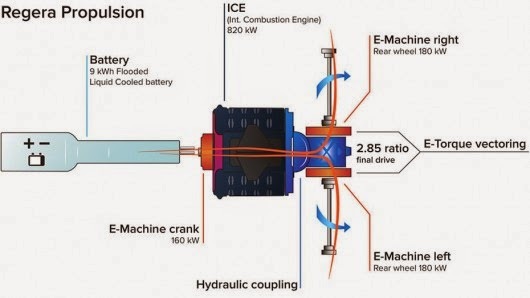 The combination of electrical and combustion power is just mind boggling. When you get up to speed, the system really comes into play - How about 3.2 seconds between 150 to 250 km/h and under 20 seconds from 0 to 400 hm/h?